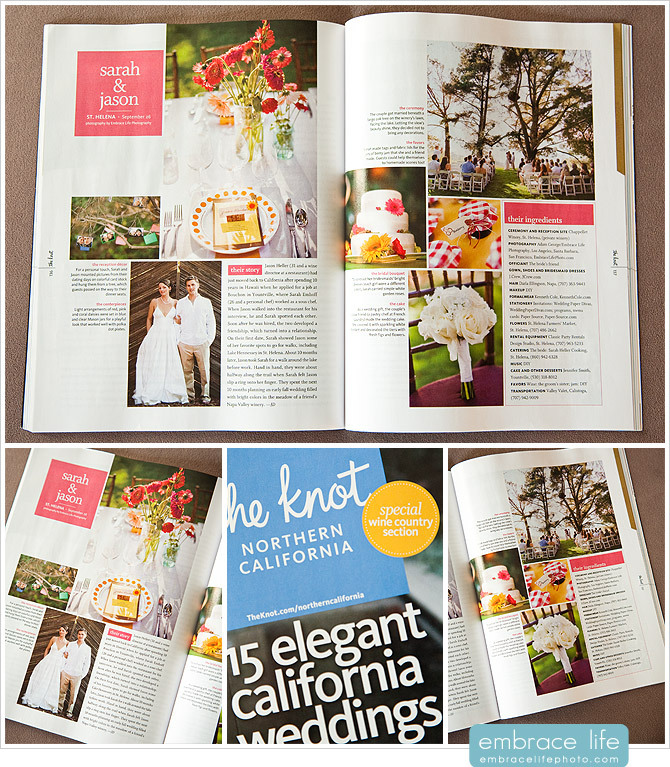 Today we received a few copies of The Knot Northern California Fall/Winter issue, in which Sarah and Jason’s gorgeous Napa Valley wedding has a two-page Real Wedding feature! This issue has a special wine country section that we’re so happy to be a part of. Sarah and Jason’s wedding at Chappellet Winery in St. Helena, CA, was a very intimate, mostly DIY affair, which came together with the help of the couple’s dear friends and of course their own talents as a chef and sommelier.